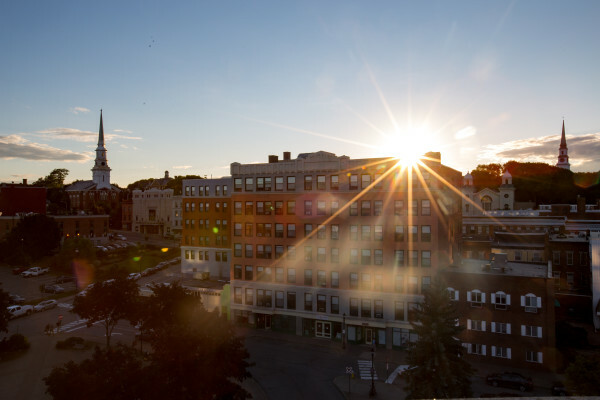 BANGOR, Maine — The City Council Finance Committee wants the council to allocate $1.6 million from the city’s undesignated fund balance to save taxpayers money next year. The committee unanimously agreed on Monday to recommend that the council allocate the $1.6 million to three areas. The allocation includes $663,386 to the city’s capital improvement reserve for FY 2018, $300,000 to help fund the purchase of four new public transportation buses, and $636,614 to fund upgrades to the Bangor Nursing and Rehabilitation Center at 103 Texas Ave.
Council Chairman Joe Baldacci said he hoped the council would follow the committee’s recommendation when councilors meet on Feb. 13. The committee agreed to the allocation after learning from the city’s auditors, the firm of Runyon Kersteen Ouellette of South Portland, that the city had slightly more than $3 million in additional revenues — largely, Baldacci said, from getting higher-than-expected amounts of excise taxes from new vehicle purchases. “By doing it this way, we actually produce savings over the longer term because we are not bonding and paying interest over 20 or 30 years,” Baldacci said Wednesday. City Finance Department Director Debbie Cyr recommended the allocations from the undesignated fund balance. During the committee meeting with the city’s auditors on Monday, Cyr said city finances were in good shape. The audit for the 2016 fiscal year set the balance at $11.3 million, or about 12.17 percent of the city’s expenditures. The $1.6 million allocation would reduce the undesignated fund balance to about $9.7 million. Cyr said it would save the city from issuing municipal bonds to make the purchases and repair work or passing the costs onto taxpayers as part of a mill rate increase in the next fiscal year. The City Charter requires the city maintain an undesignated fund balance of 8.33 percent to 16.66 percent, or one to two months of the expenses of running city government. If the full council approves the allocation, the fund balance would be about 10.45 percent of the 2016 operating budget. The council passed a $95.4 million budget in June. The budget increased the tax rate in Bangor from $21.95 to $22.50, a 2.5 percent increase. Councilors approved it by a 7-1 vote. The increase was likely absorbed for many Bangor residents by the state’s homestead exemption, which provides a reduction in the value of an individual’s home for tax purposes if the person has owned it more than a year. The exemption increased from $10,000 to $15,000, meaning that for a home valued at $150,000, the homeowner’s bill came in at $35 less than it was the previous year. Sometimes referred to as a rainy day fund, the undesignated fund balance is kept separate from the operating expenses of an annual budget as a hedge against financial emergencies and as a key component to successful financial management. Councilor David Nealley said he wanted to be sure that the fund balance stays within the range proscribed by the charter. “It is better to err and be in the position we are in than be on the edge,” Nealley said. By comparison, Augusta and Auburn strive to have unassigned fund balances equal to 12.5 percent of those city’s expenditures, the auditors said. The council’s Feb. 13 meeting will start at 7:30 p.m.
BDN writer Nick McCrea contributed to this report.